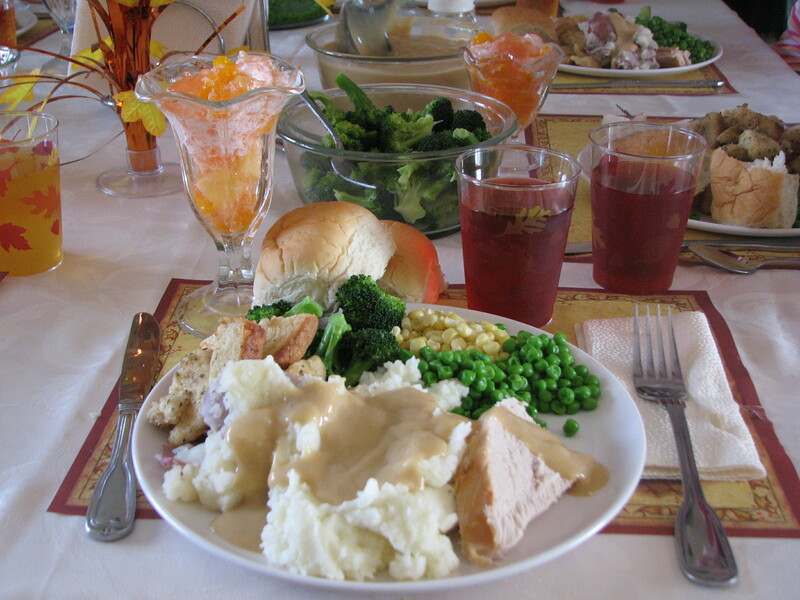 So, if you had to choose–what is the one thing–the dish that means Thanksgiving to your family? Oh, I don’t mean the Turkey–that’s a given–I mean the thing that makes the meal unlike any other of the year? We–of course have our most celebrated STUFFING–whose praises we sang last year, and Jenny’s homemade cranberry sauce, but for the past 25 years, we’ve had this interesting fruity Jello that means a lot to us. I realize that most people don’t have Jello for Thanksgiving–let me explain. 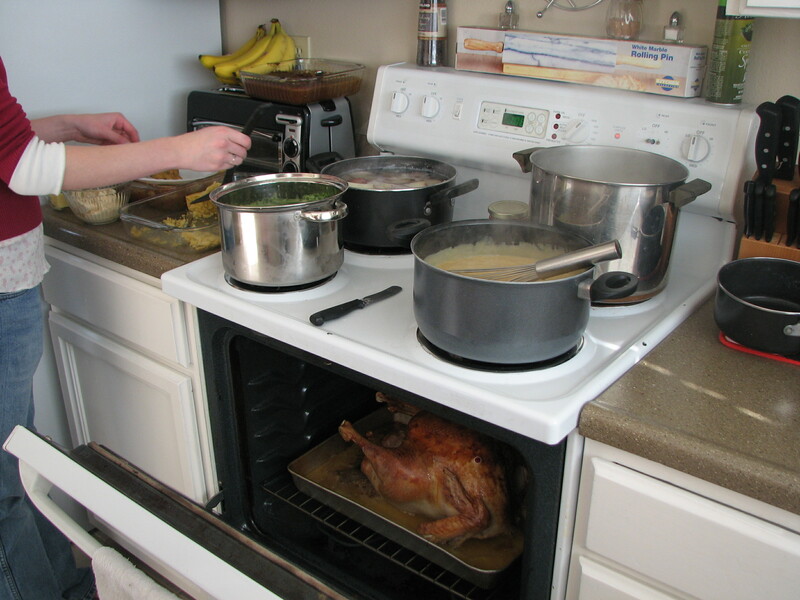 Long ago, and not so far away, we used to have Thanksgiving at my parents house…always. Now this was a big deal because my father was a chef–which supremely intimidated my mom so she was not really big on cooking. We ate meals and stuff, but it was never anything fancy or that made a lot of dishes. Except for Thanksgiving. That was the one day that my mom would go nuts–the turkey, the stuffing the potatoes, the gravy, the pies. Makes me woosey thinking about it. It was just so fun to watch her–this one time of the year, really enjoying herself in the kitchen. 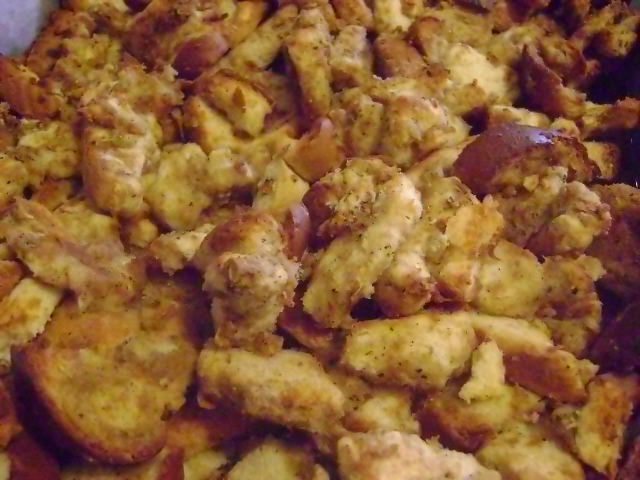 In fact, my dad was usually banished to his shop to make his famous “Monkey Bread,” as a consolation for all the other stuff she wouldn’t let him cook. This was her day to shine all by herself. That first year was particularly lean for us newlyweds so we brought–Jello. When I walked in with it my dad said, “What’s that for–dessert?” Another year, we forgot to put it on the table at all–until the meal was over. Nobody really knew what to do with my dopey Jello…until the year I didn’t bring it. That year, my cute sister acted like she was crushed and that the meal wouldn’t be right without my silly offering. 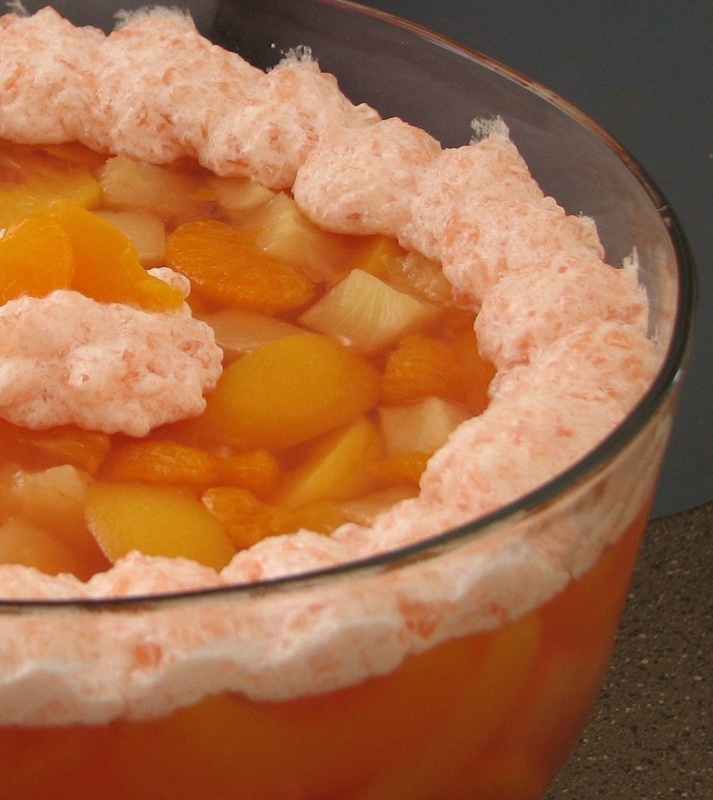 Hence–ever since that year—our peachy, fruity jello—comes out for Thanksgiving. My kids don’t know this holiday any other way. Prepare the Jello according to directions. While it’s cooling, pour drained fruit into a large bowl. Add 2/3 of the jello the fruit mixture. Pour the remainder of the Jello into a shallow Pyrex dish. Chill both Jellos until set. 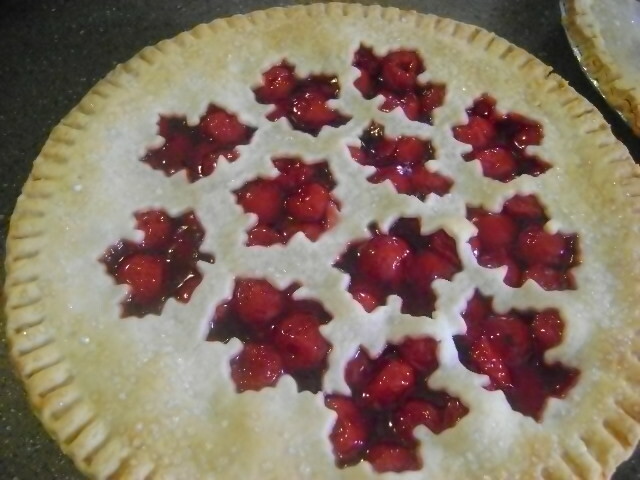 Just before serving take out the Pyrex Jello and drag a table knife through it in a checkerboard-type pattern. Scoop Cool Whip into a small bowl. Lift the cut up Jello out and fold it gently into the Cool Whip. Spoon the Jello topping onto the fruity Jello and serve to your guests. 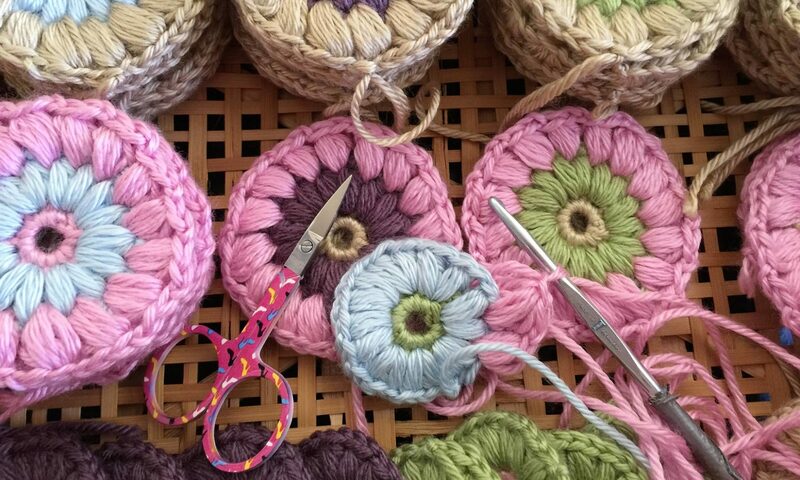 You never know when you’ll be starting a new tradition in your family! Prepare the Jello according to directions. While it's cooling, pour drained fruit into a large bowl. 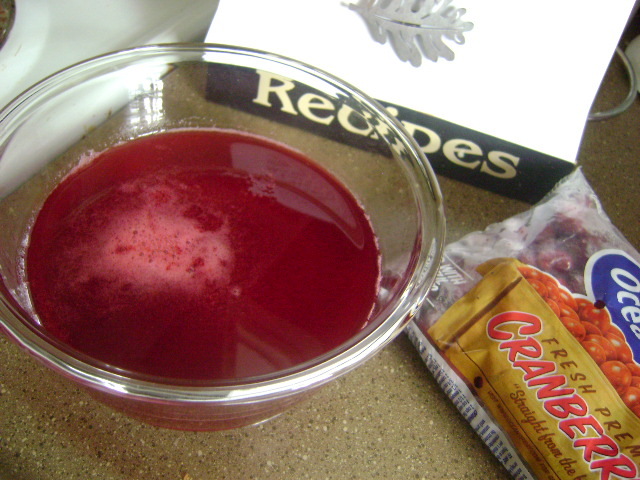 Add ⅔ of the jello the fruit mixture. Pour the remainder of the Jello into a shallow Pyrex dish. Chill both Jellos until set. Just before serving take out the Pyrex Jello and drag a table knife through it in a checkerboard-type pattern. Scoop Cool Whip into a small bowl. Lift the cut up Jello out and fold it gently into the Cool Whip. Spoon the Jello topping onto the fruity Jello and serve to your guests. After 5 years of Thanksgiving’s together, John and I have finally decided which dishes we would like for our traditions with our girls. Some recipes from his family and some from mine! It makes for a great holiday! Store bought cheese ball, haha! We’ve tossed around the idea of doing totally non-Thanksgiving “ethnic” recipes as our family tradition, but we never really have. I guess I am only willing to go so far as a heretic! We’ve done some meat substitutes in the past, but we never seem to get through all of it, which feels wasteful. Same thing with Pumpkin Pie (I really don’t like the crust), but it just smells so good cooking that I won’t cross it off the list. Besides, Rebekah is really looking forward to helping make it this year. Maybe making real whipped cream will help? The fake stuff makes me sick. You are so wise to do it this way. In the 20-ish years that I was married, we never had the actual Thanksgiving meal at our house. So we never really figured out how we would do it if we were in charge by ourselves. Now that I’m the queen of the universe–HA!–we have all the good stuff and tons of vegetables besides…something we missed before. This is sooo cool! I’m so glad you shared your menu with us, because I’ve wondered forever what your meal would be like. It sounds wonderful–except for the Soy-Nog. ha ha. I’m with you though, it’s the tradition of preparing the day that is the big deal–man, woman or child. I wonder if it would be just as good or better to make the Pumpkin Biscuits with whole wheat flour–or at least partly. I bet it would be lovely. Also, the recipe for “Impossible Pumpkin Pie” on the Bisquick site is actually really good. Did I say that?! It doesn’t have a “crust” per se, and it isn’t gooey inside–which is what I don’t care for in the traditional pumpkin pie. So you might really like it. I can just see you guys in the kitchen making it all–and I love the image. Thanks so much for telling me this! Oh, and real whipped cream WILL definitely help–the other stuff is nasty. I do indeed LOVE your Jell-O, but I LOVE mashed potatoes and gravy! I could eat just that and still be pretty happy!!! Let me know when you are allowed to have something with sugar in it — I will bring you some to try! Yes, I do actually plan on throwing some whole wheat flour into the biscuits. I usually do add some whole wheat to things that don’t call for it, just on principle, ha. I’ll have to go check out that pumpkin pie recipe. Hey, glad to enlighten you on vegetarian Thanksgiving! I’ve done more elaborate veggie dishes in the past, but we don’t do the really “basic” stuff any other time, so it makes it kind of special, anyway, without the stress. I am now, “the dedicated jello girl.” I loved yours so much, I’ve started a tradition at Rob’s family dinner. They all expect it. :)Molly is going to make some this year too, but I think I will still donate some rainbow jello. That stuff is just way to magical. Thanks for starting wonderful traditions, not only at my moms but at Rob’s too. :)Happy Thanksgiving soon! Ah man, this makes me think that I need to come up with something that becomes my “signature” dish now… I don’t know what it could be though… hmm…. Wow Tracy–this just makes me so happy. In fact, I was going to post the rainbow jello–because I wanted to try it, but then I got to thinking that we should just start with the old standard and THEN branch out. Take some pictures of your pretty stuff, would you? I would love to see it! I want it to be from “Country Living,” and I’m sitting in the back ground with my cute little farmer husband…and his Scottish accent. Is the chex mix that was in the Twilight bags homemade? If so, what is the recipe. My kids ate it all and left me the crumbs. It tastes just like Gardetto’s. Yummm. We’ve always had a Thanksgiving jello salad. In our house, jello was salad, not a dessert. We have the same jello salad for Christmas as well. Ours is made with lime jello (the only time I like lime), cottage cheese, crushed pineapple, whipped cream and nuts. It’s one of my favorite things about Thanksgiving. I saw a recipe for a red hot applesauce jello on another blog. It looked & sounded yummy. I would have never thought to combine red hots, cherry jello & applesauce together. But the gal said it was great. They have it at Thanksgiving instead of cranberries.